Why did Ferguson Prosecutors Fail to Do Their Job? As I read portions of the Grand Jury transcript in the shooting death of Michael Brown, it appears that the prosecutors were often defending the actions of Darren Wilson instead of doing their job as prosecutors to obtain an indictment. Allowing Darren Wilson to explain and justify his actions in shooting unarmed 18 year old Michael Brown is not the job of the prosecutor. That’s the job of a defense attorney. The job of a prosecutor is not to present exculpatory evidence or evidence that might negate guilt to the grand jury. The grand jury’s role is not to determine guilt. That’s called a trial. The sole job of a prosecutor during the grand jury process is to obtain an indictment against the perpetrator of a crime for the crimes committed. The prosecutor is not in a neutral role. They are not in a defense role. Their role is to prosecute. Probable cause is the standard by which the grand jury must render an indictment. And probable cause is a very low standard. That’s why a prosecutor is often said to be able to indict a ham sandwich. But that prosecutor must be doing his job and not playing the role of neutral or indirect or direct advocator for the perpetrator of the crime. There is a difference between a trial and a grand jury process. I’m not sure the prosecutors accepted the difference in Darren Wilson’s case. I know they knew the difference. I discussed the grand jury and prosecutor Robert McCullough on Thom Hartmann’s show, The Big Picture on RT America following the decision. See below for TV clip. As a former prosecutor who has worked in the Grand Jury Unit, no words can express my dismay and disgust at how St. Louis prosecutor Robert McCullough handled the presentation of Michael Brown’s killing to the grand jury. There is distrust in the African American and other minority communities at how the criminal justice system appears stacked against them. Actions or lack of actions taken by the St. Louis prosecutor only substantiate those claims that the system is often rigged against African Americans. Whenever there is a flawed system, you will receive flawed results. The question that many ask is what was wrong with presenting every piece of evidence, including reliable and unreliable witnesses to the grand jury for their decision. Well, first the grand jury is not a trial. The saying among prosecutors and defense attorneys is that a prosecutor could indict a ham sandwich. What must be added to that sentence is “if they want to indict.” Prosecutors take cases into the grand jury for one purpose—to obtain an indictment. And the legal standard is probable cause. Probable cause is a very low standard. It only means is there evidence that a crime occurred and who committed the crime. Prosecutors, in most cases, take in to the grand jury only the minimal testimony to establish whether probable cause exists to issue an indictment and arrest warrant. They also present and argue to the grand jury the charges that the evidence shows. And there is not a requirement or necessity for a prosecutor to present exculpatory evidence which may show the suspect was not guilty of a crime. That is required for when the criminal indictment is obtained and the defendant is charged. Prosecutor Robert McCullough used an obvious maneuver that only attempted to confuse the jury under the guise of being transparent. He presented everything including the kitchen sink and then told the grand jury to go figure out what happened. That is not the purpose of the grand jury process and how most prosecutors work. In the beginning of the investigation, bias was suspected on the part of St. Louis prosecutor McCullough. His father was a police officer who was killed in the line of duty; McCullough wanted to become a police officer but had to change career plans when cancer required the amputation of his leg. State prosecutors work daily with the police. They develop relationships and sometimes friendships with law enforcement officers. Their cases rely on the testimony of police officers. It is understandable that there may exist bias on the part of prosecutors when dealing with police wrongdoings. And that’s the very reason that McCullough should have requested that a special prosecutor who does not have even the slightest appearance of impropriety to take over the case. Many civil rights groups called for a special prosecutor. But McCullough was always insistent on keeping the case. A special prosecutor might have bypassed the grand jury process and opted to bring charges directly by what’s called a criminal information charging Darren Wilson. McCullough had that option too. Of course, he never probably gave one single thought to using it. In most cases, it would be extremely rare for the suspect to testify before a grand jury. In fact, most defense attorneys would not ever allow their client to testify in a grand jury proceeding. And one would only probably testify if they knew there was nothing to lose. With McCullough leading the charge supervising the two attorneys presenting the evidence, Darren Wilson has nothing to lose and everything to gain by testifying before the grand jury. Now that the grand jury testimony has been released, there was more than ample witnesses and evidence to present to the grand jury that would have resulted in an indictment, if the St. Louis prosecutor wanted to obtain one. The 4,000 page volume has been condensed and summarized by NPR which supports that an indictment was possible if the prosecutors were not partly acting to exonerate officer Darren Wilson. The majority of witnesses testified that Michael Brown was shot facing Wilson with his hands up. It sickens and dismays me as a former prosecutor that justice wasn’t served in the case of Michael Brown. The events unfolding in Ferguson surrounding Michael Brown’s death, the investigation and the Grand Jury procedure brings back a time when the credibility of African Americans were brought into question in court proceedings. Historically, there were periods in American history when a black person could not by law testify for or against a white person. A white person’s credibility was deemed superior to that of a black person. Blacks were not reliable persons to testify. And at many other times since then, the deck has often appeared stacked against a black person when faced with going up against the word of a white person. In the Brown case, several black eyewitnesses say they saw Officer Darren Wilson shoot Brown while surrendering with his hands up. There has been from the beginning what appears to be a case of black testimony as juxtaposed with the majority white police force and Prosecutor McCullough. In a community that is majority African American, the witnesses who viewed the killing were African American. The Ferguson Police Department is mostly white. And therein lays the problem for an indictment before a majority white Ferguson Grand Jury panel. Memories of the Rodney King case come to mind when thinking of Ferguson. Despite having a videotape of white police officers brutally beating Rodney King in 1991, a mostly white jury with no blacks on it deadlocked and failed to convict any of the officers in the first trial in 1992. And in the Brown killing, the Pew studies in August shows the issues surrounding the Michael Brown case including race issues are divided along racial lines. What seems fair to some differs to others. PEW research conducted during the period of August 14 – 17 shows the racial divide on Ferguson. When asked if the shooting is a racial issue, 80% of African Americans who were polled responded “yes” while only 43% of whites believe the shooting of Michael Brown is a race issue. Very few African Americans consisting of only 18% have confidence in the investigation into the shooting death of Mike Brown. Over half of white Americans surveyed have confidence in the investigation. St. Louis court officials say the Grand Jury consists of one black man, two black women, six white men and three white women. In the hours, days and weeks as the case unfolded, there was an attitude of white law enforcement and Darren Wilson against the community of Ferguson. Contrary to police protocol, initially there was no name of the officer involved in the shooting publicly released. Law enforcement inferred it was done to protect the police officer. A police incident report was not released detailing how the killing occurred. Although, the police did not initially release the name of the officer or supply an incident report, they somehow found and released a videotape of allegedly Michael Brown in a convenience store taking cigars without paying for them. 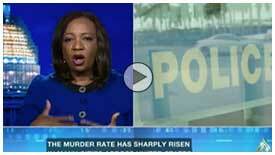 Calling it a robbery, the videotape was released and broadcast as the investigation unfolded. While nothing was revealed about the officer who shot and killed Michael Brown, it appeared the Ferguson Police chief was attempting to smear the name and reputation of the 18 year old victim. Brown was characterized as a potential Defendant instead of a victim by the Police. When questioned as to why the videotape was released, the Police Chief indicated that he had received freedom of information requests from the media. However, to date, no one from the media has acknowledged sending a freedom of information request regarding the video. To support the case that Officer Wilson’s shooting was justified, information leaked that the officer was involved in an altercation with Michael Brown prior to the shooing, at the patrol car. Allegedly Officer Wilson was reported as having an orbital eye socket fracture. As video of the Wilson later emerged following the killing of Michael Brown. The officer appeared without injuries and no eye injury. The Grand Jury is expected to release its decision any time before the end of November. Michael Brown’s fate for justice was sealed long before the Grand Jury was convened. Even though he could not testify, the law authorities found a way to bring his credibility into the Grand Jury proceedings with the convenience store videotape of him. Today as in years past, a black victim is still treated as a defendant. And the credibility of black eyewitnesses is still brought into question. And a white police officer who committed a killing of an unarmed 18 year old teenager is treated as doing his duty and supported by his white peers. President Obama gave a statement on Ferguson on August 14 saying “We are a part of one American family.” But many African Americans are not treated like they are in the same American family when faced with justice issues. In America, every African American is Michael Brown. 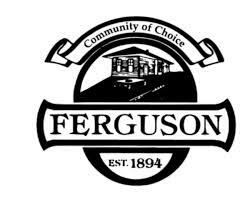 And every town and city in America has a Ferguson, Missouri. Debbie Hines is a trial lawyer, former prosecutor, legal analyst and speaker on race and gender issues. She is often seen in the media on Arise TV, BET, C-Span, RT-America, Sky News, Fox 5 – DC and the local DC affiliates of CBS, NBC and ABC. As Ferguson, Missouri awaits the Grand Jury decision for the killing of Michel Brown, the world watches. Missouri Governor Jay Nixon held a press conference on Tuesday on the anticipated Grand Jury decision in the killing of Michael Brown which could come at any time. As the US and the world await the St. Louis Grand Jury decision on whether to indict Ferguson Officer Darren Wilson for the killing of Michael Brown, one thing is clear. The Missouri Governor and the law enforcement are expecting the worst and are spreading the tone that the worst will occur. At the press conference today, there was no mention of Michael Brown’s name or his family. There was very little, if any, mention of peaceful protests. There was no mention of how the police learned from their earlier mishaps which resulted in many peaceful protesters including journalists and lawyer observers who were doing their job being arrested. And it is very clear that based on the mood, tone and temperament of the Missouri law enforcement officials that a very bad thing is about to occur in Missouri. Sadly, I fear the worst will occur if the outcome is not an indictment as the tone has been set by the Missouri State officials. The press conference had all law enforcement standing on the podium plus Governor Nixon. Missing were any peaceful organizers of protests, clergy, national or local civil rights leaders, family members of Michael Brown and anyone who exhibits peace and tolerance. Instead the police showed they that intend to meet force with force. All the focus was on violence and force. The focus should have been on peace if peace was the main objective. From listening to the press conference held on Tuesday at 3:00 PM, it was clear that Ferguson failed to learn anything from their past mistakes these past few months. If anything, they learned incorrectly that they need to further escalate the force by bringing in 1000 officers. The press conference was a total failure. And the tone of the conference was beyond disturbing. A calming approach should have been given, if calmness was the intended goal. The vast majority of people want to speak and express themselves in a peaceful fashion. On earlier accounts, many of the peaceful protesters were confronted by the police with tear gas and arrests. There is a Constitutional right to peaceful protests and peaceful assembly. The Governor or the law enforcement officials present failed to mention that they would respect peace. As many online stated, the press conference was to comfort white fears about loss of property instead of comforting black fears about the loss of life. If the police want to prevent further loss of life, they should change their tone, tactics and temperament. Sadly neither Governor Nixon or the representatives of the various Missouri law enforcement agencies learned anything on how to handle the Grand Jury outcome from their past mistakes. The world is watching Ferguson. And they just failed another test. And everywhere in America, a Ferguson exists. Despite the fact that Maryland has a 2-1 edge of Democrats over Republicans, Democrat nominee for Governor Anthony Brown managed to lose the election to Republican Larry Hogan, who was virtually unknown when he won last week. 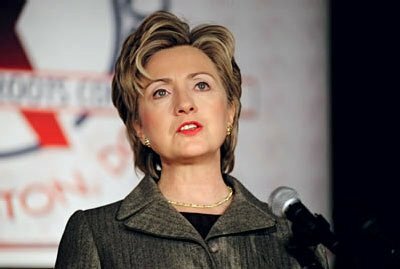 And in the wake of Maryland’s gubernatorial election, there are lessons for Hillary Clinton, the hands on unannounced favorite Democratic 2016 Presidential candidate. Being a frontrunner can be a blessing and a curse, as Maryland’s Anthony Brown discovered. While many Democrats shunned the President to campaign for them, Anthony Brown did not shy away from the star power of many Democrat politicians including President Obama, Bill Clinton, Michelle Obama and Hillary Clinton who came to rallies in support of Brown. No amount of star power from other politicians could save the shellacking that Brown received at the hands of Hogan. Brown lost by over 9 percentage points in a heavy Democrat state. Brown did not lose because he aligned himself with party Democrats and President Obama. He lost because he broke many unspoken rules as a candidate. Brown was so busy being the front runner that he forgot that he had to campaign for the job. He was not going to be anointed or appointed to the position of Governor. As soon as the primary ended in June, 2014, Brown acted as if the general election win were a fete accomplished. As a frontrunner, Brown ran a lackluster campaign. And he was too often trying to avoid any mishaps that he took many things for granted. Campaigning is like a contact sport that requires often taking risks. The rule in politics and in life is to never take people for granted. Brown presumably assumed that the large numbers of Democrats in the three major areas of Baltimore City and the DC suburbs of Prince George’s County (Brown’s home base) and Montgomery County would magically appear and vote for him without much campaigning. The results revealed that many Maryland voters in 2014, like many in the country, stayed home. Many voters may have felt they had no reason to vote. And Brown failed to give them a reason. Campaigning is also a team sport and Brown did not strongly engage the team—the voters. Brown never strayed away from the message points of his predecessor, Governor Martin O’Malley, a potential 2016 presidential candidate. Brown failed to explain how he would improve people’s lives. And he did a poor job of explaining what he would do as Governor, instead of merely attacking Hogan as a Republican. He failed to explain what he stood for on issues and why he deserved to be Governor—albeit after botching the MD health care exchange site. And being the Lt. Governor alone was not a good enough reason to vote for him, as Brown apparently thought. Messaging is a key factor in any political race. And the Brown campaign failed to get a message that was clear and concise. Quoting party lines and party message points is not the same as having a message that resonates with voters. Telling stories is one way that voters understand what’s at stake for them in their personal lives and why their vote counts. Hogan repeatedly told stories through his ads while many of Brown’s ads attacked Hogan. Brown has a similar style in some respects to Hilary Clinton. To say he fails to show and express emotions would be an understatement. Voters need to see the human and emotional side of candidates. Surprisingly, the concession speech that Brown gave showed an emotional, personal side of him with reasons why he entered public service that never revealed itself during the campaign. While Brown did not distance himself from President Obama, he failed to learn anything from the two campaigns that President Obama ran to successfully win two terms as President. While Hillary Clinton may decide to distance herself from President Obama, she also needs to learn how President Obama did the seemingly impossible—as the first African American President who also won re-election. President Obama knew how to campaign and win two terms in areas where blacks, women and minorities are not always high on the list of priorities. Maryland’s new Republican Governor Elect, Larry Hogan campaigned in all areas of Maryland including urban Baltimore City. Hogan didn’t take anything or anyone for granted. And neither should Hillary Clinton should she decide to run. Hillary Clinton could learn from Brown by not repeating his mistakes.